On Sunday former US president and Nobel Peace Prize laureate proclaimed to a Sunday school class that he is cancer-free. The news was met with an eruption of applause from the congregation and a worldwide reaction of hope. The 91-year-old’s announcement has highlighted the promising breakthroughs surrounding immunotherapies. Carter was diagnosed with melanoma earlier this year which had spread to his liver and brain. Melanoma, which usually presents as skin cancer, can also be present within the body. After undergoing surgery which removed 10% of his liver, and receiving targeted radiation therapy to his brain, the Nobel Peace Prize laureate was treated with Pembrolizumab, an immunotherapy whose approval was fast-tracked after receiving “breakthrough therapy designation” from the FDA last year. According to studies, 74% of patientswith advanced melanoma receiving pembrolizumab every two weeks were alive a year later. Carter received the treatment every three weeks. Immunotherapies work not by fighting cancer cells, but by, in effect, “unmasking” the cells thus allowing patients’ own immune system fight the cancer. Pembrolizumab, heralded as “one of the most exciting new drugs in cancer treatment today”, is one of the first immunotherapy drugs on the market. 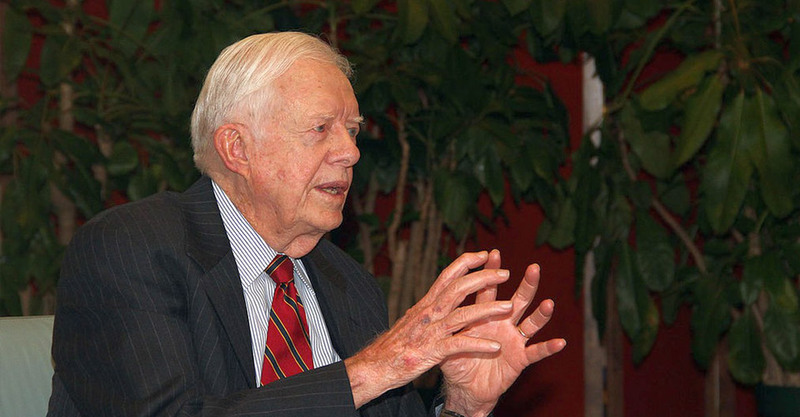 For further reading about Jimmy Carter’s treatment, we recommend this article from Time.